The Access to Medicine Foundation stimulates and guides pharmaceutical companies to do more for the people living in low- and middle-income countries without access to medicine. Eight new investors have pledged support to the Foundation’s research and signed the Access to Medicine Index Investor Statement since the release of the 2018 Access to Medicine Index last November. Today, the Access to Medicine Foundation publishes the latest framework for tracking how pharmaceutical companies are responding to antimicrobial resistance (AMR). 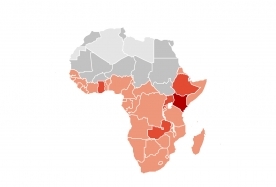 The new Access to Medicine Index, published last week, notes increasing interest from multinational pharmaceutical companies in doing business in Africa that benefits people on lower incomes. The 2018 Access to Medicine Index finds that R&D for urgently needed new products is highly concentrated – among five pharmaceutical companies and on five diseases. On 26 March 2019, Jayasree K. Iyer will join a panel discussion on private sector investment in antibiotics at The Economist magazine's Antimicrobial Resistance Summit. This is the 6th Access to Medicine Index. It evaluates 20 of the world's largest pharmaceutical companies on how their actions to improve access to medicine. 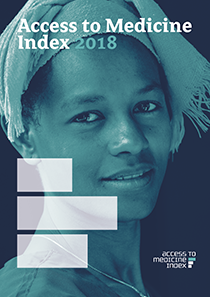 The Index covers 106 low- and middle-income countries and 77 diseases, conditions and pathogens. When I talk to executives from pharmaceutical companies they tell me that they want to do more for neglected diseases, but they at least need to get credit for it. The Access to Medicine Index does exactly that. I’ve been impressed by the Access to Medicine Index. It presents well-balanced stakeholder views on good practices for the pharmaceutical industry and it provides clear standards against which the performance of individual companies can be judged. The Access to Medicine Index is a very important project. What gets measured, gets done.